Ryan Bradford is a Delaware Soccer official who has been involved in youth soccer in Delaware for many years. His son Ryan, who was diagnosed with special needs, was following in his dad's footsteps. He was always at the field with his dad and started to officiate youth soccer programs as well. He had a passion for the sport and loved being around the players and coaches. Unfortunately in 2016, there was a fire at their family home in which their son lost his life due to injuries sustained from the fire. In his honor and memory, his family partnered with the Delaware High School Soccer Coaches Association and created an award in his name. 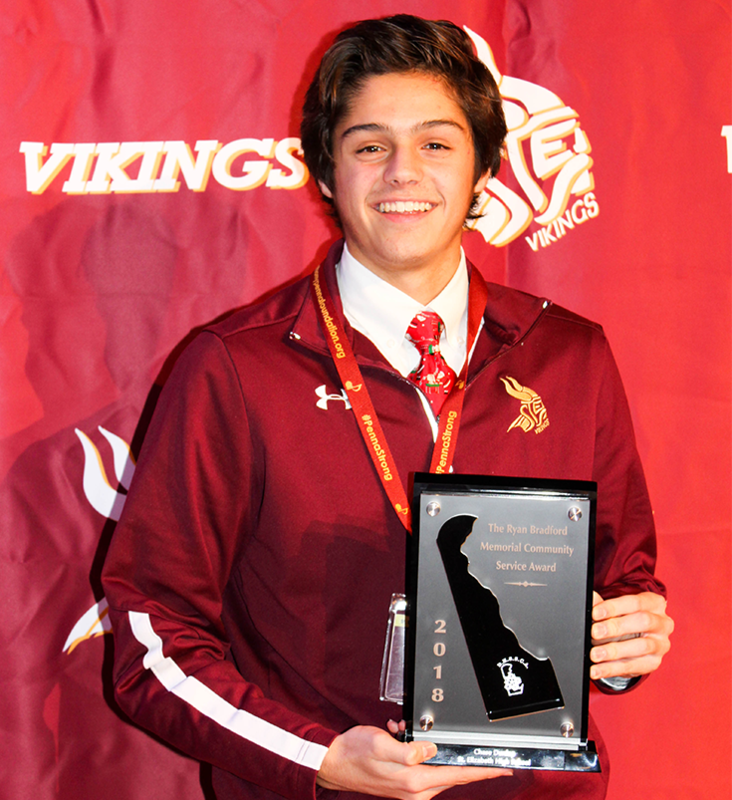 The award is in its second year and is designated for a high school senior in Delaware who is not only a talented soccer player, but one who demonstrates the same passion and love Ryan has in other aspects of their life. There should be a focus on their success in the classroom as well as giving of their time and services for the betterment of their community. The Delaware High School Soccer Coaches Association sifted through numerous nominations of players across the state and selected our very own Chase Dunlap to receive the 2018 Ryan Bradford Senior Community Service Award.